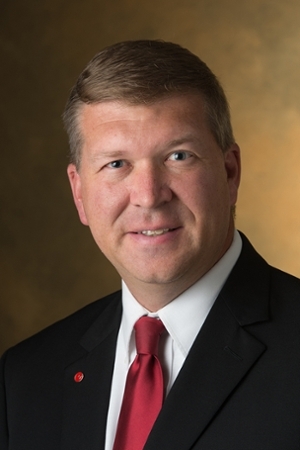 Southern Illinois University Edwardsville Vice Chancellor for Student Affairs (VCSA) Jeffrey Waple has made multiple personnel moves to restructure responsibilities within the department as it enters the 2016-17 academic year. The goal of the restructuring was to capitalize on experienced, internal talent and address areas of focus that required greater attention to enhance University retention efforts. Kara Shustrin has been promoted to associate dean of students/director of student conduct. A 22-year SIUE administrator, Shustrin spent 13 years in residential life before serving nine years in the VCSA office in multiple capacities. Shustrin reports directly to Jim Klenke, associate vice chancellor/dean of students. “We are capitalizing on Kara’s experience, talent, commitment and institutional knowledge to address critical needs within the University,” Waple said. The critical needs include maintaining an environment that is conducive to the academic mission of the University. This has become increasingly challenging and requires the efforts of several individuals to achieve this goal. Waple has merged the director of the Morris University Center/Student Success Center with the director of the Kimmel Student Involvement Center. Kelly Jo Karnes has assumed that leadership role. A 16-year higher education veteran, Karnes has served as the director of the Kimmel Student Involvement Center for the past three years and has held leadership roles in student affairs at the University of Iowa, Old Dominion University and the University of Kansas. On August 16, Tarsha Moore joined the VCSA staff as a student program advisor for transition programs and outreach. She completed a master’s in college student personnel administration (CSPA) on Aug.1. She most recently served as the graduate assistant in the VCSA office. Moore will report directly to Shustrin. Retention studies, as well as anecdotal experience, indicate that the University must focus greater “hands on” attention and support for first generation college students in order for them to be successful. Moore’s responsibilities will include guiding these students to success. In an earlier move during the spring 2016 semester, Dennis Wobbe was named director of Dining Services and will report directly to the VCSA. Dining Services is one of the largest employers of professional and student staff on campus.